Elliott Bros Wheatstone Telegraph Tape Punch c1868? 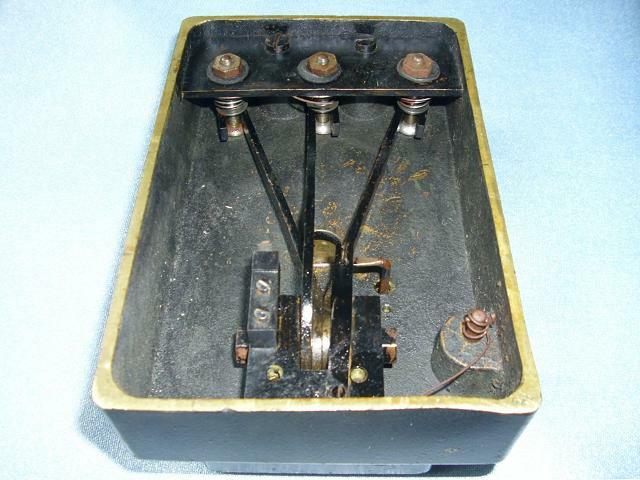 This was used to punch paper tape for sending high speed telegraph messages using the Wheatstone system. The operator would have 2 hammers (one in each hand) to strike the 3 buttons to punch the message onto the tape. From the left, the clockwork receiver, the clockwork transmitter, with an independent key in front for short messages, and the tape punch. Sending 120 words a minute between London and Manchester. 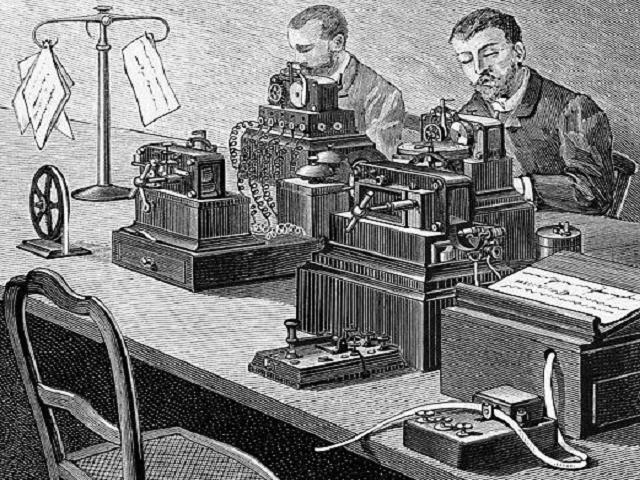 A History of the Telegraph Companies in Britain between 1838 and 1868. By Steven Roberts.